Synopsis: Prophecy tells of an apocalyptic battle that will take place on the planet Dellah on the eve of the twenty-seventh century, the ultimate clash between the Divinity and the one they call the Great Blasphemer: the rebellious trickster known as the Doctor. Desperate to bring an end to the ascendancy of his eternal foes, the Doctor embraces this destiny, calling upon his captive companions, the Master and the Rani, to break free of the control exerted over the TARDIS by the Time Lords. 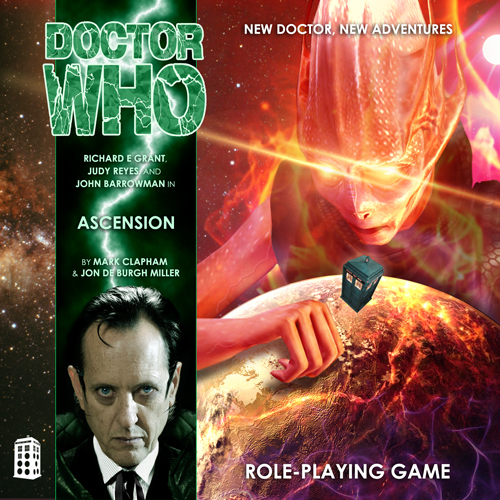 The Doctor and Ori arrive on Dellah to discover that this once peaceful world has fallen under the pitiless rule of the New Moral Army, whose holy wars and genocidal pogroms have left the road to the city of Tashwari lined with the crucified corpses of unbelievers. Appealing to the Sultan of Tashwari, the travellers find that any effort to quell the religious fervour that grips the populace is hopeless. The Sultan and his army heed only the doctrine of their idols, the Divinity, and the Doctor and his companion are soon slated for execution. Hope arrives in the form of an unexpected saviour who falls out of the sky—not an angel but a man, a man named Captain Jack Harkness. With the help of this dashing rogue, the Doctor and Ori flee the city in search of allies, the atheist rebels who hide in nearby hills. Their quest will take them deep inside the volcanic Mount Casmov, where they learn that the prophecy that has led the Doctor to Dellah is self-fulfilling, allowing a great evil to harness the power of his TARDIS. 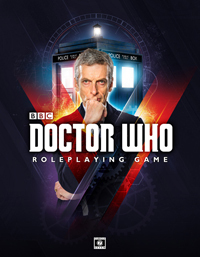 The Divinity have become one with the elder god known as Tehke, the Burning One, and unless the Doctor can extinguish the beast, it is his ascension that will at last allow these ethereal fiends to defile the most glorious domain in all of time and space: Gallifrey, homeworld of the Time Lords! Ori stared at the Rani, who stared back with blazing, arrogant eyes. Though the ginger hair that framed her narrow face was a tangle and her lips bore a gamesome smile, there could be no doubt that the renegade Time Lady was, indeed, serious. Her fingers played coyly at the edge of the central console. The genie had been released from her bottle, and it wasn’t going to be easy to put her back in.